One of the biggest concerns we see at the dealership is the use of poor quality aftermarket oil filters – they simply don’t perform at the same level as those made by Volkswagen. The aftermarket filters are put together with cheaper materials, they break down quicker and sometimes just don’t fit right. These issues lead to restricted oil flow and oil pressure and in turn could cause premature engine failure and bearing damage. Check out the picture above of two used oil filters – the aftermarket one is on the left, and the Volkswagen Original part is on the right. 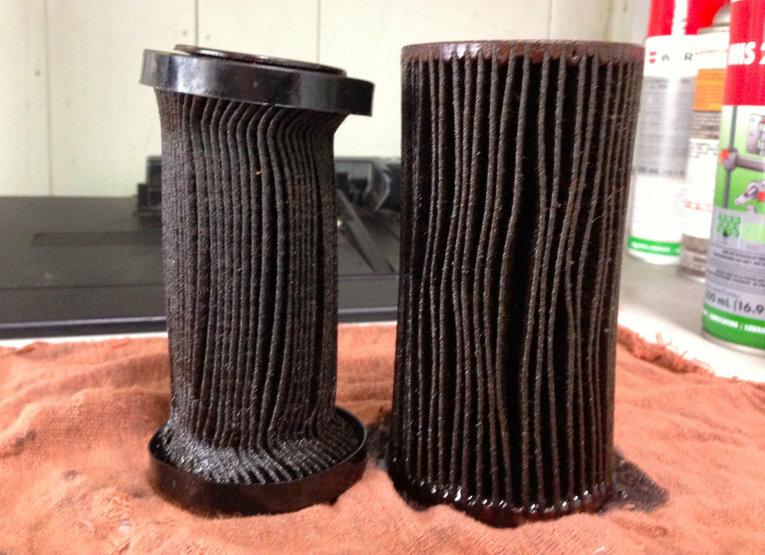 You can easily see that the used aftermarket filter has constricted and is deformed, while the VW filter has held its integrity quite well.